Some people think so-called digital currencies like Bitcoin are gathering momentum and legitimacy as an investment. Others think that Bitcoin is at best a high-risk flash in the pan and at worst a complete swindle. 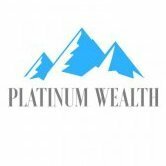 We added a poll to the main site here: https://platinumwealth.co.za/insights/ please use the poll. I will not outright recommend it, but if someone were to talk to me about bitcoin, I certainly will not talk it down. I think this is a technology that a modern investor must be aware of. I would recommend it, I think it's something one should have a part it, I am not preaching bitcoin or anything, just saying it has made a tremendous impact on how I personally think about money and I am sure there are many others whom also changed their perception of money. Yes, if the person is willing to risk money long term. The cap on the total supply that there will ever be, combined with the permanent reduction in the volume of coins being created every 4 years, means that it is digitally scarce. The risk to reward ratio is very high and will pay off well to those who take the risk. I just hope BTC will be on top in the next few years. I try to follow the latest news from ICO Pulse experts to be aware of the current situation on the market. I'm also very interested in investing in ICOs, as for me it's quite profitable business. Want to invest some crypto in a few ICOs in the near future. I'm more of a traditional investor, but can agree that one should not discount crypto currencies. The technology behind the currencies seem to be solid. I still haven't found an exchange where I feel 100% confident to buy/trade crypto. Any suggestions? I'm a big fan of EasyEquities, so anything close to that user experience will be first prize.